Both Wilson and Eisenhower entered office committed to reorganizing the Department of Defense. They succeeded in securing from Congress approval in June 1953 of Reorganization Plan No. 6, which made changes in OSD, the Joint Chiefs of Staff, and the chain of command. 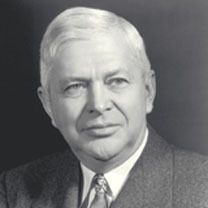 Wilson welcomed the reorganization plan, which became effective on 30 June 1953, as facilitating more efficient management of the Department of Defense. He looked on the assistant secretaries as his "vice presi-dents'' and tried to run the Pentagon like an industrial corporation. Wilson took advantage of the reorganization to decentralize administration, giving the service secretaries more responsibility and importance. In his first annual report, he noted that the service secretaries were his principal assistants; decentralizing operational responsibility to them would make for effective exercise of civilian authority throughout DoD. In July 1954, to complement the 1953 reorganization, Wilson issued a directive to the JCS, the most important provision of which stated that "the Joint Staff work of each of the Chiefs of Staff shall take priority over all other duties"namely their tasks as chiefs of individual services. The directive also clarified the role of the JCS chairman and his authority over the Joint Staff while making clear that assignment of major tasks to the Joint Staff was the prerogative of the full JCS. The president inaugurated planning for the New Look in July 1953 by asking the incoming members of the JCS Admiral Arthur W. Radford, chairman; General Matthew B. Ridgway, Army chief of staff; General Nathan F. Twining, Air Force chief of staff; and Admiral Robert B. Carney, chief of naval operationsto prepare a paper on overall defense policy. Although the JCS paper did not recommend any fundamental changes, the National Security Council in October 1953 adopted a key tenet of the New Lookthat a large-scale limited war or a general war would likely be fought with nuclear weapons. Eisenhower formally presented the New Look in his State of the Union message in January 1954 and Secretary Wilson helped to explain it. More defense for less money was possible, he said. With new weapons and techniques and ready reserves of troops and materiel, the United States could support capable military forces within budget allocations that Congress was willing to provide. Although the Eisenhower administration generally adhered to the New Look throughout Wilson's term, the policy remained controversial. Some critics maintained that it made impossible the fighting of a limited non-nuclear war. The Army and Navy felt that the increased emphasis on air power and nuclear weapons represented a departure from the concept of "balanced forces," where individual service programs were balanced against overall requirements. Implicit in the policy was rejection of the idea that a year of crisis with the Soviet Union was imminent (to occurwhen the Soviets achieved offensive nuclear capability against the United States) or that a general war was just around the corner. Wilson pointed out frequently that defense policy should be long-term and not based on short-range projections of Soviet-American relations. "Military expenditures," he observed, "must be adequate, but not so great that they will become an intolerable burden which will harm the social and economic fabric of our country. True security cannot be founded on arms and arms alone." Its standing threatened by the New Look, the Army questioned the wisdom of reliance on "massive retaliation" and strategic air power to the neglect of other force elements. Secretary Wilson reportedly observed that the United States "can't afford to fight limited wars. We can only afford to fight a big war, and if there is one, that is the kind it will be." But by 1955 the Army, and later in the decade the Navy, departed from their emphasis on preparation for total war by urging the need to prepare for limited warnon-global conflicts restricted in geo-graphical area, force size, and weapons (although tactical nuclear weapons were not ruled out). Generals Ridgway and Taylor stressed the need to have a variety of forces available and equipped to fight different kinds of warfrom a local non-nuclear war to a global strategic nuclear conflict. They rejected the notion that limited wars would occur only in less developed areas and argued that such conflicts might occur in the NATO region as well. The Army received indirect support from such critics of massive retaliation as Bernard Brodie, William W. Kaufmann, and Henry A. Kissinger, who noted thatthe United States and the Soviet Union had or were acquiring the power to destroy each other with strategic nuclear weapons, thus precluding their rational use in response to a limited attack. Taylor, concluding that the Soviet Union and the United States had achieved mutual nuclear deterrence, believed that limited-war forces would play an active role in future conflicts and that atomic retaliatory forces would play a passive role. The Army did move into missile and space programs in an effort to preserve for itself a part in planning for and fighting a nuclear war, but in the late 1950s it continued to push for adop-tion of a new national security policy acknowledging the primacy of limited war. While the Eisenhower administration did not adopt the Army's position, by the time Wilson left office it did accept both the need to prepare for limited war and the idea that deterrence of a direct attack on U.S. interests required "sufficient" rather than "superior" retaliatory capability. Increased competition among the services resulting from the New Look compelled Wilson to deal with the perennially troublesome question of service roles and missions, complicated by the introduction of new weapons, especially missiles. He noted in his semi-annual report at the end of FY 1956 that the services, which had eight categories of guided missiles available for various tasks, could not agree on their respective roles and missions in relation to these and other planned missile systems. Also at issue were aircraft types for the individual services and Air Force tactical support for the Army. To address these and other nagging questions, Wilson issued two important documents. The first, a memorandum to members of the Armed Forces Policy Council on 26 November 1956, dealt with five points of contention. First, Wilson limited the Army to small aircraft with specifically defined functions within combat zones. On the matter of airlift adequacy, which the Army questioned, the secretary declared current Air Force practices acceptable. As to air defense, the Army received responsibility for point defenseof specified geographical areas, vital installations, and cities; the Air Force became responsible for area defensethe interception of enemy attacks away from individual vital installations; and the Navy could maintain ship-based air defense weapon systems. Wilson assigned to the Air Force primary responsibility for tactical support for the Army, although the Army could use surface-to-surface missiles for close support of its field operations. Finally, the secretary gave the Air Force sole authority to operate land-based inter-mediate-range ballistic missile (IRBM) systems and the Navy the same responsibility for ship-based IRBMs. He enjoined the Army from planning operational employment of missiles with ranges beyond 200 miles. Wilson, a folksy, honest, and outspoken man, sometimes got into trouble because of casual remarks. In January 1957, for example, he referred to enlistees in the National Guard during the Korean War as "draft dodgers." This caused a storm of protest and even brought a rebuke from the president, who said he thought Wilson had made "a very... unwise statement, without stopping to think what it meant." On another occasion, Wilson jokingly referred to the White House as a "dung hill," generating further controversy. These episodes should not detract from recognition of Wilson's determined efforts to run the Department of Defense efficiently and to maintain the nation's security forces within reasonable budget guidelines.